As I ran in to problems as I tried to set up my Eclipse environment in order to develop the DDT plugin, I decided to make a quick reminder how the installation should look like. My development environment is Eclipse Indigo (3.7.x) on Windows. First I need to install the PDE, the plug-in development plug-in for Eclipse. This is easy, however there are always problems with the naming. So, open up Help/Install New Software dialog from the menu, and select the repository Indigo – http://download.eclipse.org/releases/indigo. Untick the Group items by category and search for the phrase: “Eclipse Plug-in Development Environment”. Install it. DLTK 3.0: This is the default version line for Eclipse Indigo, so we should find it also in the eclipse repository. Help/Install New Software dialog, http://download.eclipse.org/releases/indigo. Untick the Group items by category and search for the phrase: ” Dynamic Languages Toolkit – Core Frameworks”. Install it. Since the original Descent project exists on an SVN repository, I need to install the Subversive SVN Client for Eclipse. In the same dialog as before, I check for the phrase: “Subversive SVN Team Provider (Incubation)” and go. As I expected EGit became part of the Eclipse Indigo project thus no additional installation will be required. Yet. I need to be careful of the import order of the related projects. What I need accordingly to Bruno’s tutorial is to import the descent.compiler project from SVN. 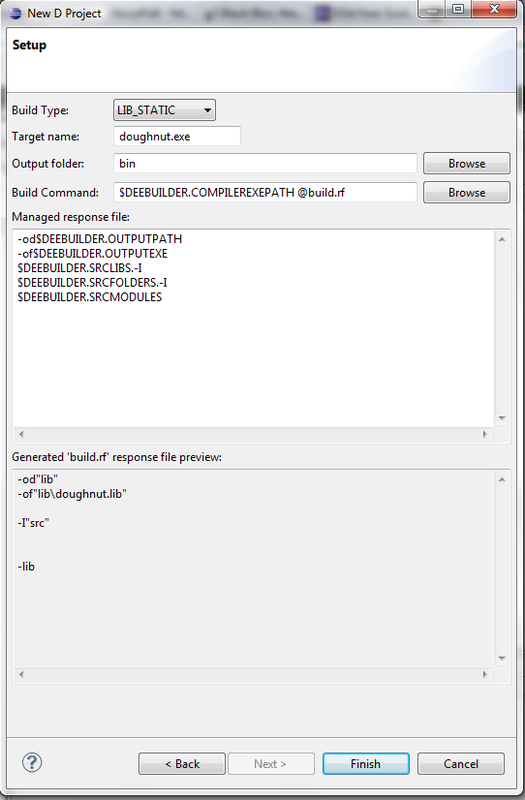 In the Package Explorer’s context menu click on the Import and select the SVN/Project from SVN repository. Stick the http://svn.dsource.org/projects/descent URL to the repository address and select on the resource page the trunk/descent.compiler project. Ta-dam! Oh, wait… the first time when you want to import from SVN, the subversive team provider plug-in will find that you don’t have a connector so, there’s a need to install one. After several try, I found that the SVNKit 1.35 works just fine to use. Now comes the real deal, the source code of the DDT. Luckily, it’s really simple: Again, in the Package Explorer’s context menu click on the Import, select Git and in the upcoming dialog, click on the Clone… button. There it is: paste the URL: https://code.google.com/a/eclipselabs.org/p/ddt/ and select the all the branches (well, the branches themselves is a bit funny, because it still seems that I need to add a new remote in order to get the other branches, but heck, it didn’t kill anything). Note, that the clone isn’t my google clone address, I’ll add that later as an upstream clone while Bruno’s one gonna be the downstream update site. At the remote naming, I chose to use the bruno-* (* = branch name) format, so it’s gonna be easier to sort them. After all these, the package explorer gets littered with projects.